Mie University | 【Fully Booked】Homestay Program in GW!!! 【Fully Booked】Homestay Program in GW!!! 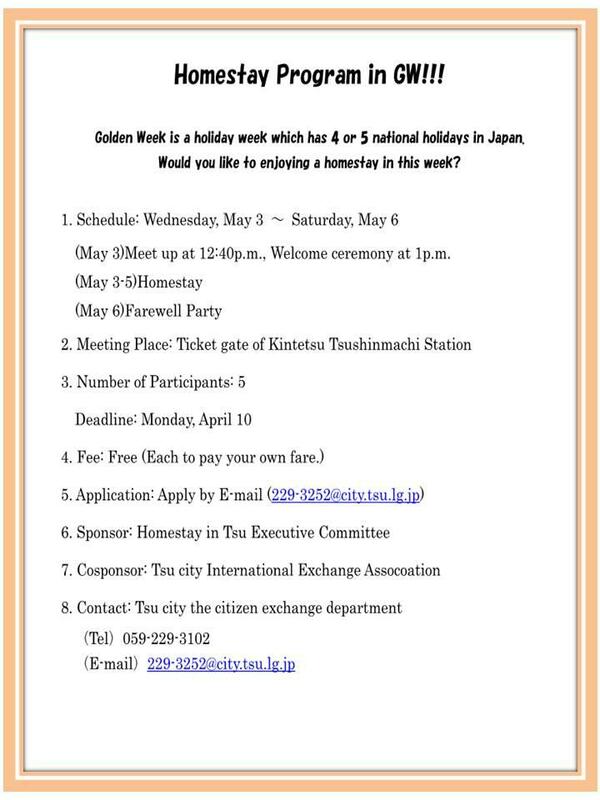 【Fully Booked】We stopped accepting applications of "Homestay Program in GW" because there is no more place available. Thank you.